Traditionally, Thai coconut soup, or tom kha, is made with lots of spices, such as galangal and lemongrass, and also with chicken. This easy vegetarian Thai coconut vegetable soup recipe is made with fresh cilantro, lime, and cayenne to duplicate the Thai flavors with some more commonly found ingredients. 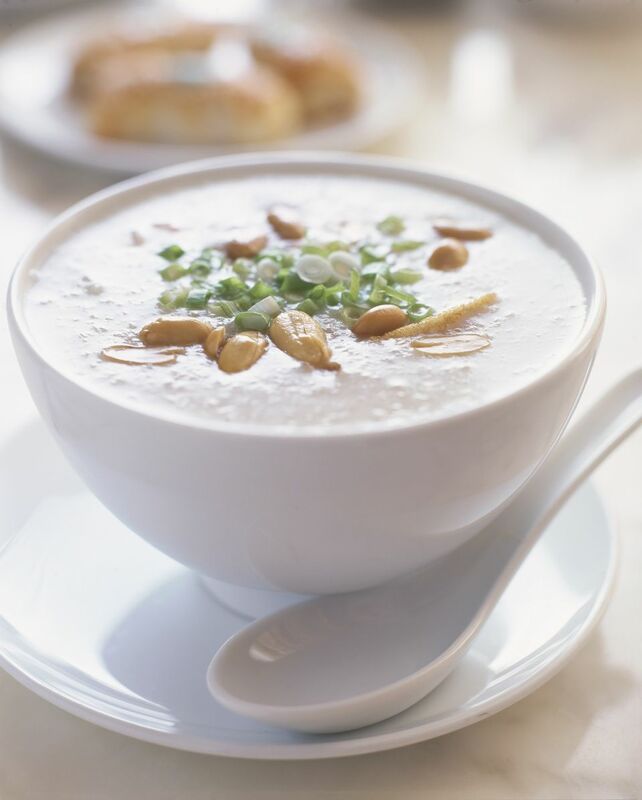 Coconut soup has a long history in Thailand. A recipe for Thai coconut soup as it is commonly prepared today was first introduced in a Thai cookbook in 1890, and that is the recipe that prevails today. And while it's usually made with chicken, vegetarians won't miss out by making this flavorful version of a Thai tradition. Sautee the onion, peppers, and garlic in olive oil in a large pot until onions are soft, about 3 to 5 minutes. Add the remaining ingredients, except for the basil, and bring to a simmer. Allow to cook over low heat for one hour. Both vegetarian and vegan, this recipe is 100 percent egg-free, dairy-free and low in cholesterol. We like to add some diced and sauteed tofu to coconut soup to give it an extra boost of protein.